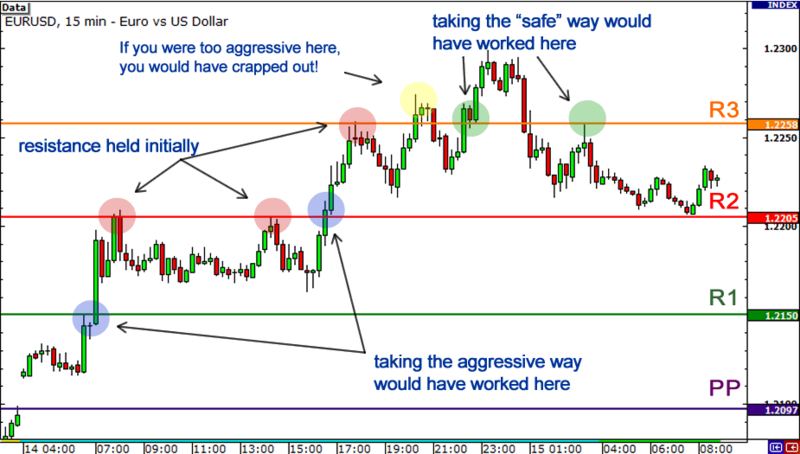 Using pivot points for range trading will work, but not all the time. In those times that these levels fail to hold, you should have some tools ready in your forex toolbox to take advantage of the situation! As we showed you earlier, there are two main ways to trade breakouts: the aggressive way or the safe way. Here we see EUR/USD made a strong rally throughout the day. We see that EUR/USD opened by gapping up above the pivot point. Price made a strong move up, before pausing slightly at R1. 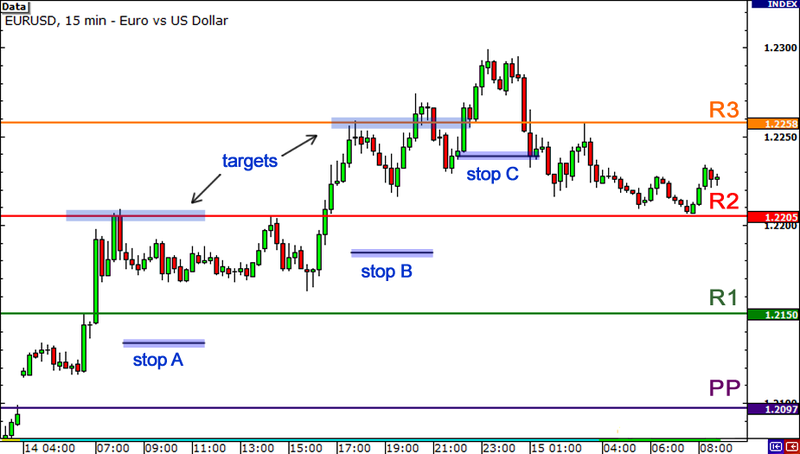 In this example, once you saw price break R1, you would have set your stop just below R1. If you believed that price would continue to rise, you could keep your position and move your stop manually to see if move would continue. Spikes in volatility are a common occurrence during news events, so be sure to keep up with breaking news and be aware of what’s on the economic calendar for the day or week. Lastly, just like in range trading, it would be best to pop on other key support and resistance levels.